Tom’s Tech Blog: Broken Wifi Adapters got you down? 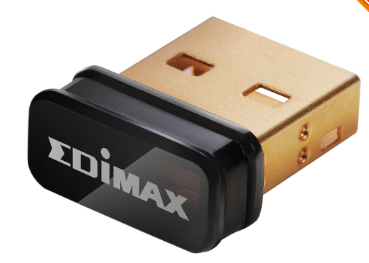 With our ACCESS portable and LiveShot portable codecs, we ship a a high gain Wifi adapter, the Edimax EW7811-UAC. It has an in-built antenna, conforms to all the latest high throughput standards, and is dual band. It also sticks up a bit, which can result in a broken USB port (as shown) if the adapter is whacked or if the codec is dropped. If your Wifi application doesn’t require a lot of range or all these fancy standards, (e.g. 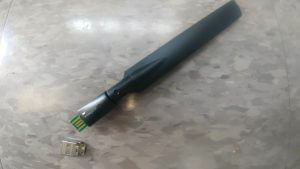 you’re using a wireless Hotspot fairly close to your codec) you might consider changing to something that isn’t “out there” asking to be broken. We’ve tested the Edimax EW7811-Un (pictured) and it works well, but on a single band and with the lower range you’d expect given it’s form factor. But if that’s all you need, it’s available from lots of online retailers.